As chair of SLICC Dr. Gladman was a key facilitator in the development and validation of the SLICC/ACR Damage Index. As the precursor of the SLICC group, members of the NATO conference on Prognosis Studies in SLE which took place in 1985 in Toronto, recognized the need for three instruments to better describe the prognosis of SLE including the domains of disease activity, accumulated damage and health status. At that time an initial list of variables to be considered in a damage index were formulated, which was further developed at the first meeting of the SLICC group in Boston in 1991. At that meeting the SLICC/ACR damage index was finalized as an index consisting of 12 different organ systems. Following this meeting extensive testing of the index was carried out to assure content and face validity. Participants from each center were asked to show the instrument to physicians in their center who were not SLICC members and to have them complete a questionnaire relating to suitability of the instrument. Non-SLICC physicians agreed that the instrument had face validity. For criterion and discriminant validity, each SLICC member was asked to select four patients with a disease history of at least five years, covering a spectrum of disease duration. These case scenarios were submitted to one center where they were rewritten in uniform format and then distributed to all participants who were then asked to complete two SLICC index forms for each patient representing times 1 and 2. The analysis confirmed discriminant validity of the instrument. In 1997 a live patient exercise was carried out by the SLICC group in Toronto to test the reliability of the Damage Index and to correlate damage index scores with disease activity scores. The analysis showed that the instrument was able to detect differences among patients and there were no detectable observer or order effects. This demonstrated that physicians from different centers and different health care systems were able to record accumulated damage in a particular patient in a similar way and that scoring of the damage index was not influenced by varying degrees of disease activity in these patients. The SLICC/ACR Damage Index has been widely used and is accepted as the standard as an outcome measures for use in therapeutic trials and prognosis studies. 1.Gladman D, Ginzler E, Goldsmith C, Fortin P, Liang M, Urowitz M, Bacon P, Bombardieri S, Hanly J, Hay E, Isenberg D, Jones J, Nived O, Petri M, Richter M, Sanchez-Guerrero J, Snaith M, Sturfelt G, Symmons D. The development and initial validation of the SLICC/ACR damage index for SLE. Arthritis Rheum 1996;39:363-369. 2.Gladman D, Urowitz MB, Goldsmith C, Fortin P, Ginzler E, Gordon C, Hanly J, Isenberg D, Kalunian K, Nived O, Petri P, Sanchez-Guerrero J, Snaith M, Sturfelt G. The reliability of the SLICC/ACR damage index for SLE. Arthritis Rheum 1997;40:809-813. 3.Gladman DD, Urowitz MB. The SLICC/ACR damage index: Progress report and experience in the field. Lupus 1999;8:632-637. 4.Gladman DD, Goldsmith C, Urowitz M, Bacon P, Fortin P, Ginzler E, Gordon C, Hanly JG, Isenberg DA, Petri M, Nived O, Snaith M, Sturfelt G. The Systemic Lupus International Collaborating Clinics/ American College of Rheumatology (SLICC/ACR) Damage Index (DI) For SLE: International Comparison. J Rheumatol 2000;27:373-376. Dafna Gladman is Professor of Medicine at the University of Toronto, and Senior Scientist at the Krembil Research Institute. She is Deputy Director of the Centre for Prognosis Studies in the Rheumatic Diseases, Director of the Psoriatic Arthritis Program University Health Network, and co-Director of the University of Toronto Lupus Clinic. Professor Gladman has researched both systemic lupus erythematosus and psoriatic arthritis with emphasis on database development, prognosis studies, genetic markers for disease susceptibility and expression, assessment instruments, quality of life measures and clinical trials. Professor Gladman has 691 peer-reviewed publications, 138 chapters and invited publications, and over 1000 published abstracts. Dafna was a founding member of the Systemic Lupus International Collaborating Clinics (SLICC) group. She was instrumental in obtaining NATO funding for the international disease activity in SLE group which lead to the formation of SLICC. 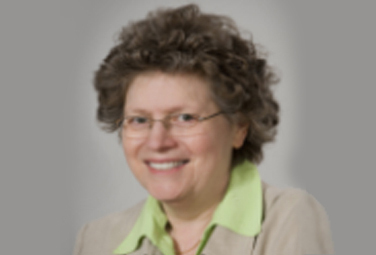 Dr. Gladman was the first chair of SLICC from 1991 to 1998 and treasurer from 1992-1998. 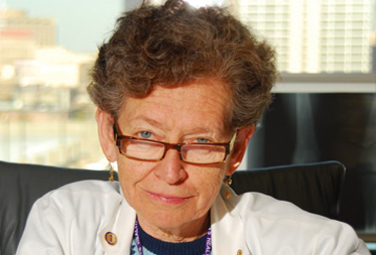 Dr. Gladman is the recipient of several awards for education and research including the Royal College of Physicians and Surgeons of Canada Mentor of the Year Award and the Lupus Foundation of America Evelyn Hess Award for Excellence in Lupus Research.